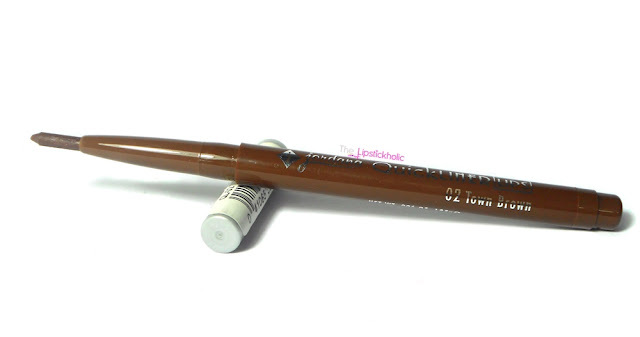 Review: Jordana QuickLiner Lip Pencil in shade Town Brown...!!! Jordana QuickLiner Lip Pencil in shade "Town Brown"
Jordana QuickLiner Lip Pencil comes in a slim retractable pencil form. This retractable lip pencil is easier to use and does not need to be sharpened. The pencil is quite slim but contains enough quantity of product inside. You can easily twist up the pencil to see the complete quantity. Jordana QuickLiner Lip Pencil has soft texture. The texture is just right for a retractable lip pencil. 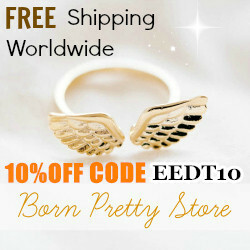 It is creamy yet not too soft thus it does not break during application. It applies easily and smoothly. The tip of the liner is perfect for precisely outlining the lips. It prevents the lip color from bleeding. This lip pencil can also be used to fill in the lips. However, it does feel a little drying and can accentuate any dry patches on lips if applied all over lips as lip color. The shade "Town Brown" is a nice chocolate brown shade with matte finish. It is a great shade for fall/winters. It can be used to outline lips or can be used to fill in the lips, as lip base, with a matching lipstick. It can also be worn alone all over the lips as lip color. 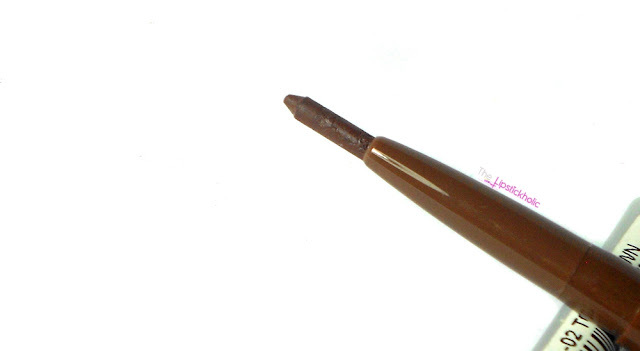 The pigmentation of this lip liner is great and it provides good color pay off in just one swipe. More than swipes result in even better color payoff and coverage. The staying power of this lip liner is pretty nice too. It keeps the lip color intact and lasts on my lips for about 6-7 hours. Overall, I really like this Jordana QuickLiner Lip Pencil. The shade is so fall/winter appropriate. This retractable lip pencil is easy to use, needs no sharpening and doesn't break. The color payoff is pretty great. 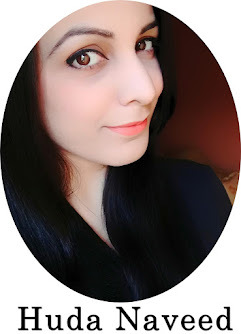 It is a nice budget lip liner and I surely recommend you to try this. 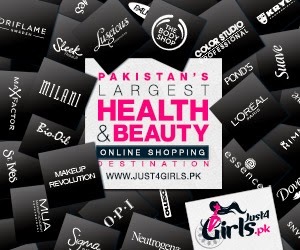 However, availability of this liner in Pakistan is an issue as it is already out of stock at Just4Girls. I hope Jordana Cosmetics Pakistan bring back these lip pencils soon. The lipstick colour looks nice on you! Looks like a very good color for fall. Nice review and lip swatch is beautiful. It is such a beautiful color, good to know it doesn't break easily like other retractable pencils. The color is gorgeous indeed. Yes am glad it doesn't break like other retractable pencils. The formula sounds nice but the shade is a bit too brown for my liking. The lip liner will come in handy for outlining the lips. The colour looks really different on lips. But I prefer the colour on the lips. Nice review. I really like the color and finish of this lip liner. New Collection: Sigma Pink Collection...!! !